Triple Chocolate Dipped Graham Crackers is rated 5.0 out of 5 by 1. Rated 5 out of 5 by MammaG from Great Gift Bought these for my mom and she loves them :-) I have not had a chance to try them myself. 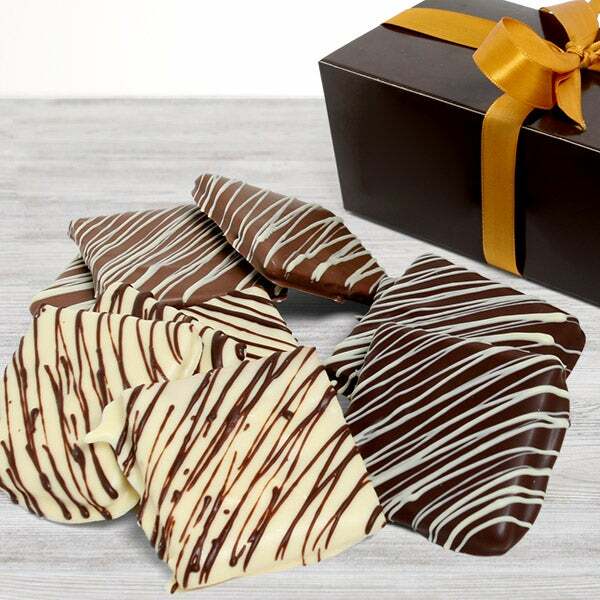 A delicious treat of delicate, handcrafted graham crackers that are dipped by hand into rich milk, luxurious white, and decadent dark Belgian chocolates before being elegantly decorated with ribbons of silken chocolate confection.